Today you can start earning 5X Chase Ultimate Rewards points (5% cash back) at gas stations and Kohl’s department stores when you use your Chase Freedom card. You’ll earn the bonus for up to $1,500 in purchases from July 1, 2014 to September 30, 2014, for a maximum of 7,500 Chase Ultimate Rewards points or $75 cash back. The bonus doesn’t happen automatically, though. You need to activate the bonus before September 14, 2014. But it only takes a minute! Earn 5X Points or 5% Cash Back at Gas Stations and Kohl’s Starting Today…Don’t Forget to Activate! What’s the Chase Freedom Card? Emily and I love the Chase Freedom card because it’s easy to earn 5X the number of Ultimate Rewards points (up to $1,500 or 7,500 points a quarter) for purchases we would make anyway. The 5X bonus categories are different each quarter. If you spend $6,000 a year ($1,500 X 4 quarters) you’ll get 30,000 Ultimate Rewards points or $300 cash back. The Chase Freedom is a fee-free card, so it’s a good card to keep long-term. 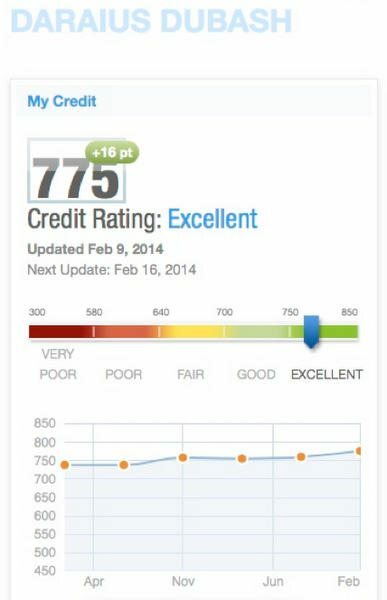 This could increase your length of credit history and improve your credit score. You can redeem the points earned for cash back, but I prefer transferring points to the Chase Sapphire Preferred, (no longer offered) Chase Ink Bold, or Chase Ink Plus. From there, you can transfer points to airlines and hotels like United, Southwest, Hyatt, and IHG and get lots of Big Travel with Small Money! You Could Transfer Points to IHG and Stay at the Intercontinental in Bali! Some online shopping portals offer additional points or cash back when you shop at Kohl’s. 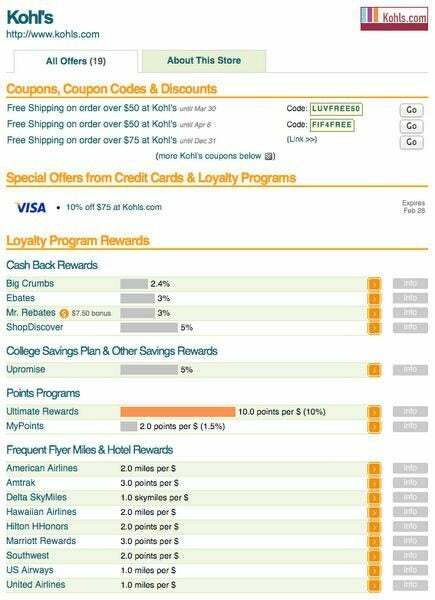 I check Evreward.com before I shop at Kohl’s online to see where the best deals are. These change often, so it’s worth checking right before you shop. Today is the 1st day to start earning 5X points (5% cash back) at gas stations and Kohl’s department stores using your Chase Freedom card. But you have to activate the bonus before September 14, 2014, to get the points. If you buy gift cards at Kohl’s through a shopping portal, will you still get the portal bonus points? It really doesn’t make sense to buy amazon giftcards at Kohls or Gas stations because that will be that next 5% category. Unless, of course, you plan to buy everything from amazon for xmas. Do you know any gas stations that sell $500 Metabank gift cards? I noticed that you can purchase Visa gift cards on Kohls.com. However, when I clicked this option, I was forwarded to another website giftcardmall.com. Will this still count as a Kohl’s purchase for the bonus points? Thanks.